I first wanted to bake a chocolate cake in heart shape, but decided against it. 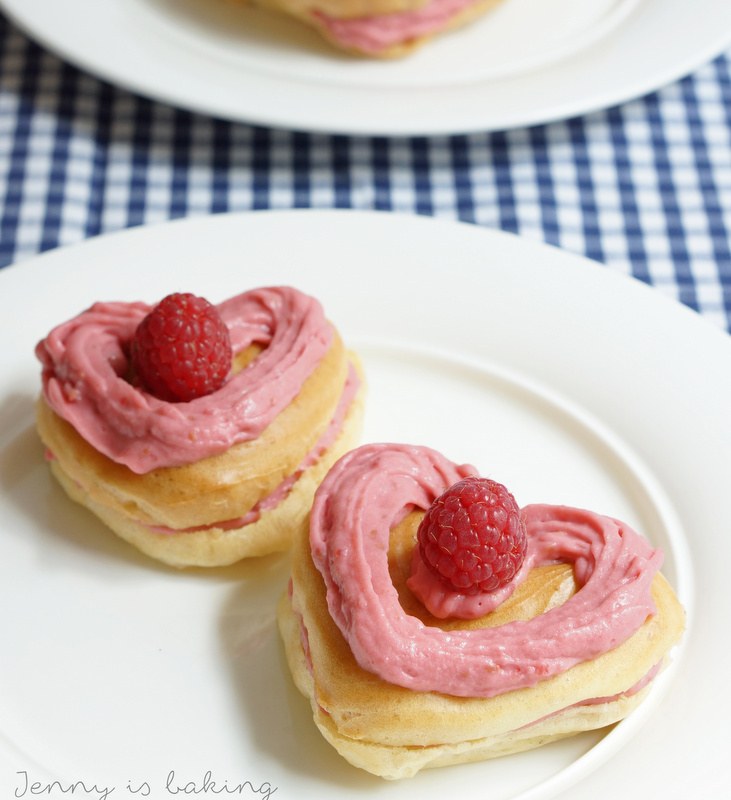 My husband loves eclairs and I still need to practice the batter, so instead I decided to go with eclairs in heart shape. When I did some research on the internet, I was surprised to see that either people made them the classical eclair shape or the shape of cream puffs, so basically balls. Occasionally I would stumble across a swan, but that was about it.Once I had settled on eclair batter for the heart shapes, I had to consider the color pink. Since I hate artifical food coloring, I knew I had to go with raspberries as they produce a very strong color in anything. For that reason I checked cream fillings. I am also very picky when it comes to cream fillings since I don’t like them to be too sweet and heavy and I always, always prefer the cream fillings with strong fruit flavor. Of course it is OK to include butter or whipping cream, but I don’t want that flavor to be dominant. I stumbled across below filling on the German site Chefkoch.de and can highly recommend it. It is not too sweet and has a strong raspberry flavor. My husband says it is magnificent. So far he has not ever used that word for my baked goods, so it really means something. For the batter put the water, butter, and salt in a small pot and bring to boil on stove top. Reduce temperature to medium heat. Now add all the flour at once and stir with a wooden spoon like there is no tomorrow. Fairly quickly a ball should form. Make sure that you "burn" the ball from all sides. This takes about two minutes. If you are unsure, you should have a thin layer of white on the bottom of your pot, otherwise continue stirring until you do. The ball of dough looks white and feels elastic. As long as your stove is not too hot, rather stir for a little longer. Five minutes from the moment the butter melted is fine. If your batter feels already very creamy after the third egg, don't add another one. The best test is to take out the mixer and see how fast it takes for batter attached to the mixer to drop back to bowl. If it doesn't drop at all, you need to add more eggs. I sometimes have to add a fifth one, sometimes three are enough. If the batter drops off slowly, it is perfect. Another indication is that it is glossy. You should be able to pipe it. 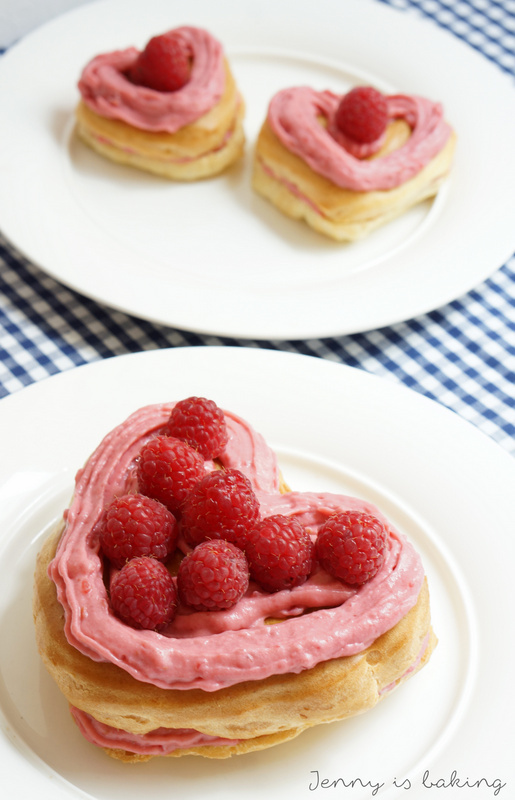 For this recipe I piped the batter in heart shapes onto the parchment paper of a baking sheet. I did smaller (10 cm ∅) and bigger ones (20 cm ∅). Obviously you are free to create any shape you want. Keep in mind though that the batter puffs a lot, so leave enough space in between. The batter shapes will puff and should turn golden. Turn oven off after 20 minutes, but only open the oven door about a centimeter now. Leave the batter for another 10 minutes inside the oven to be sure it doesn't deflate. For the filling put raspberries and 150 milliliters of milk in a pot on the stove a bring to boil. As soon as raspberries are soft, take out and blend raspberries (e.g. food processor or even with a fork). Put filling for at least 10 minutes in the fridge for the butter to harden a bit and make piping easier. Eclairs freeze beautifully, either with or without filling. I prefer the unfilled version though. Eclairs can be filled with any cream filling you like, butter cream, chocolate cream, lemon curd, etc. 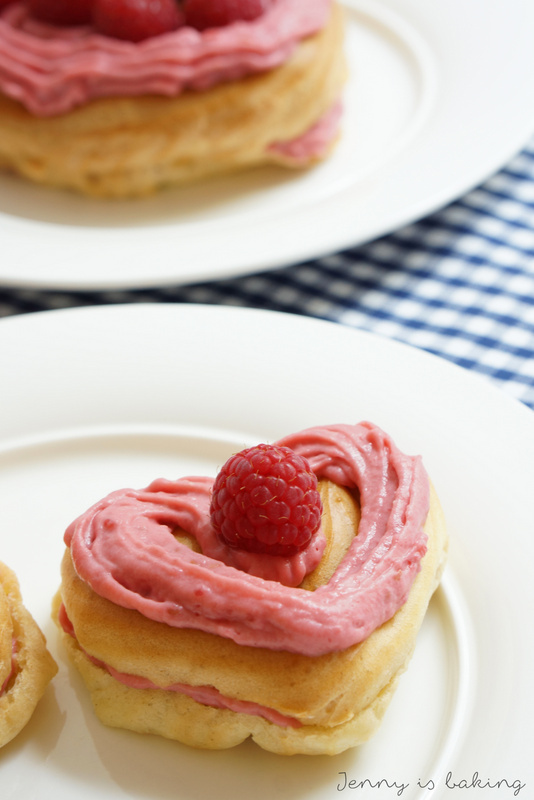 Yes, this is a good recipe for Valentine’s or Mother's Day and yes, it can be made in advance! ich weiß jetzt gar nicht, ob ich besser auf Englisch schreiben sollte, aber ich weiß ja – du verstehst es 😉 Das sieht ganz ganz köstlich aus und ich melde mich hiermit als Probier-Tester für die nächste Fuhre. 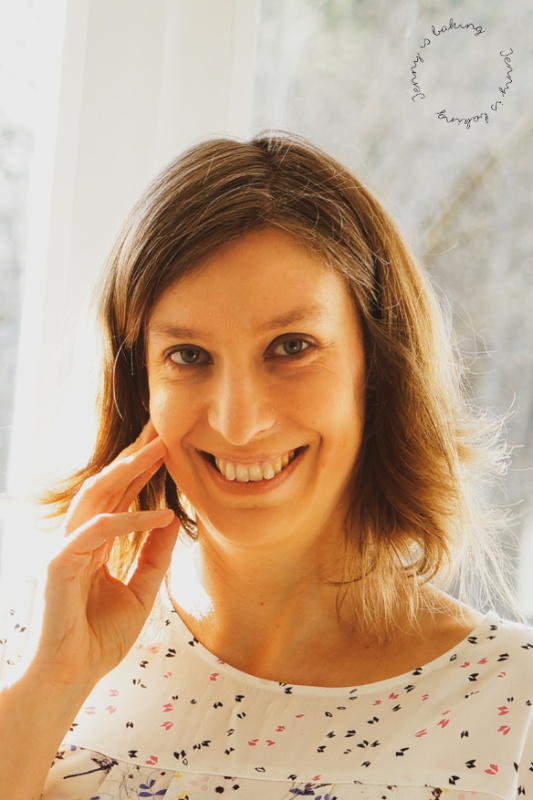 Hi Lisha, ich spreche deutsch und habe bisher meinen Blog nur auf Englisch, weil ich viele internationale Freunde habe, die immer Rezepte verlangt haben. Bald gibt es meinen Blog zweisprachig. 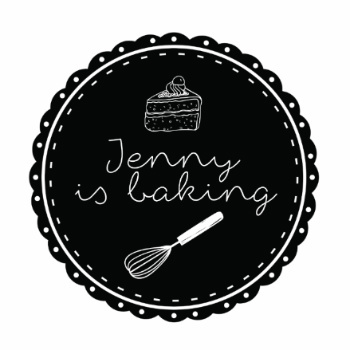 Und ich schicke dir virtuell die Fuhre 🍰!